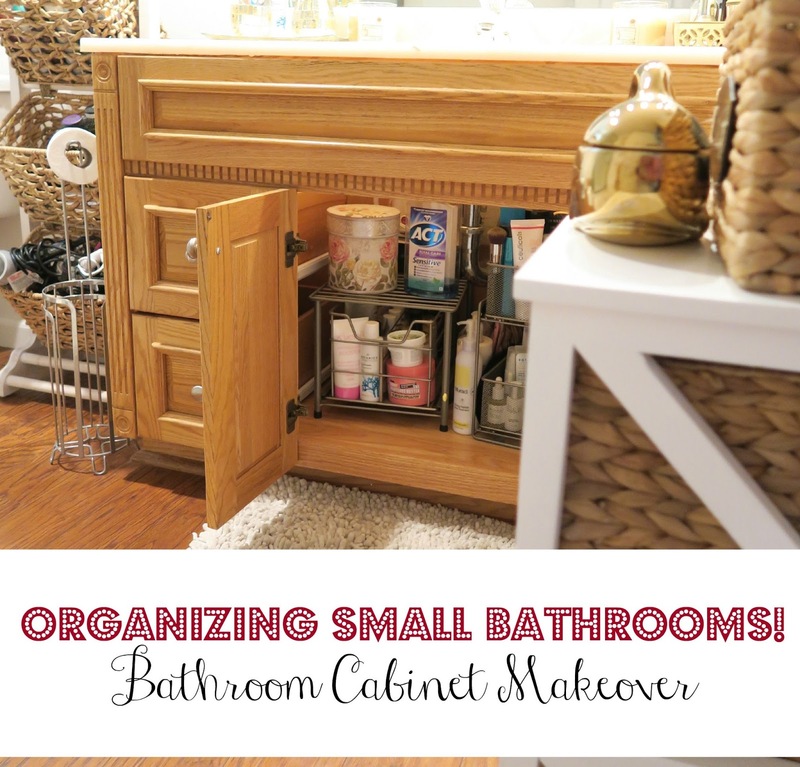 If you watch our vlogs, you will know that our master bathroom is small. 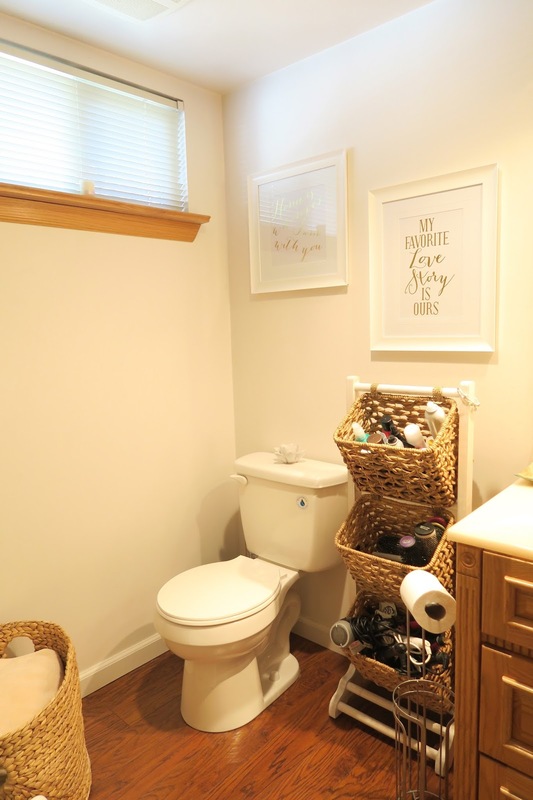 It's also technically not a master bathroom as it's not in our bedroom. It's just a downstairs bathroom that we claimed as our master. While the space and storage is pretty minimal in there I feel like I've made maximum use out of it using a few awesome storage finds. 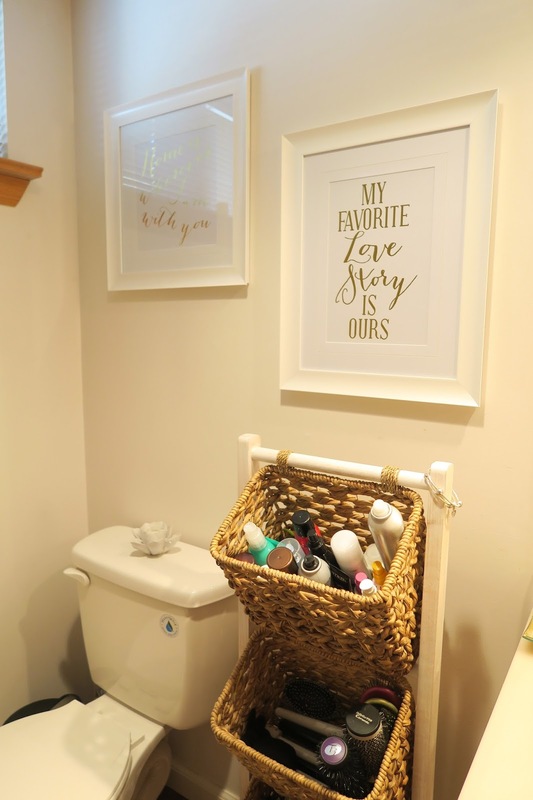 I hope this inspires you to make the most out of your small bathroom. 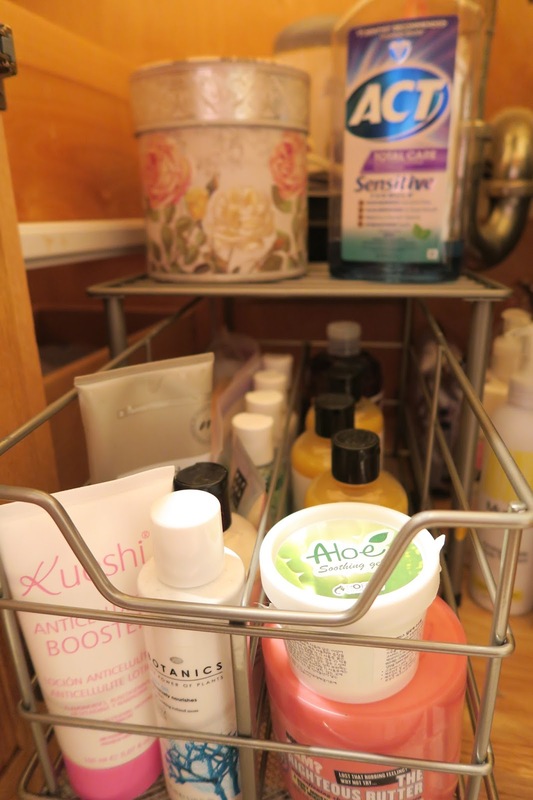 I picked up these storage shelves for $14.99 from TJ Maxx and they are awesome for organizing your body products etc. 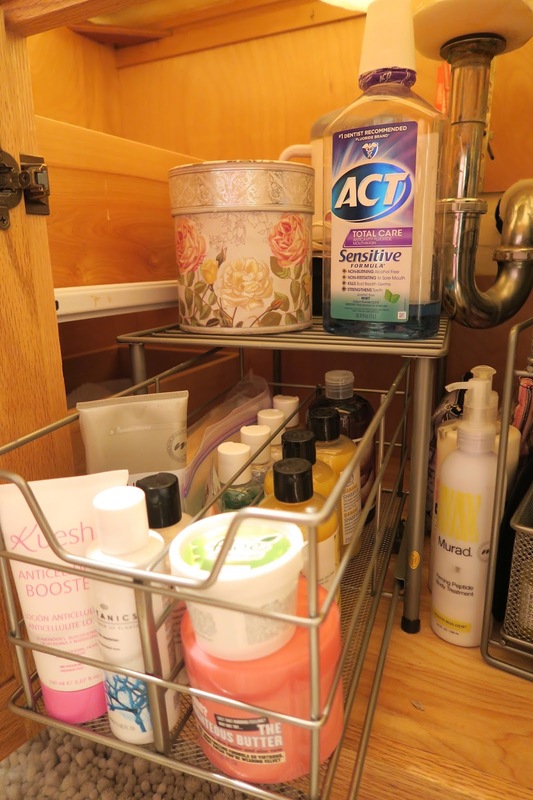 The bottom drawer on this one pulls out so I can put my extra shampoos, lotions and waxing stuff. 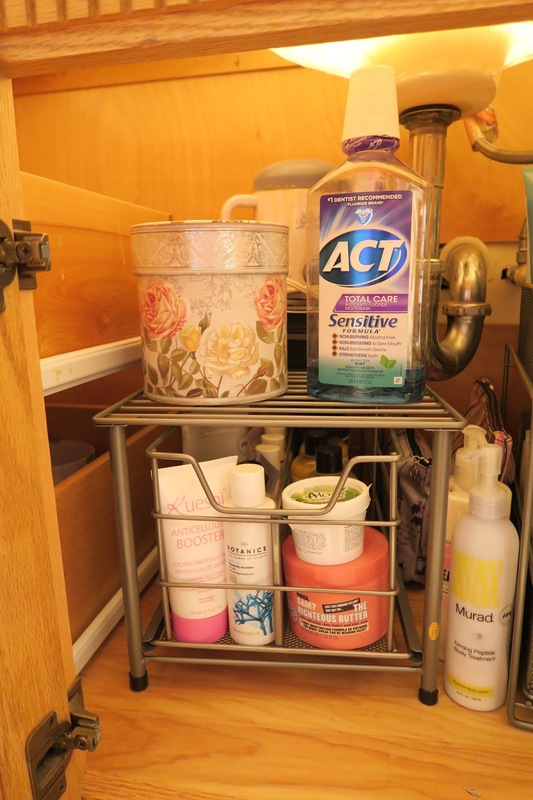 The top shelf is perfect for storing my little box of tampons (hey you gotta make it look cute) and my wax pot and mouthwash. This smaller one is also from TJ Maxx. Both the top and the bottom can slide out and they hold a lot of products! 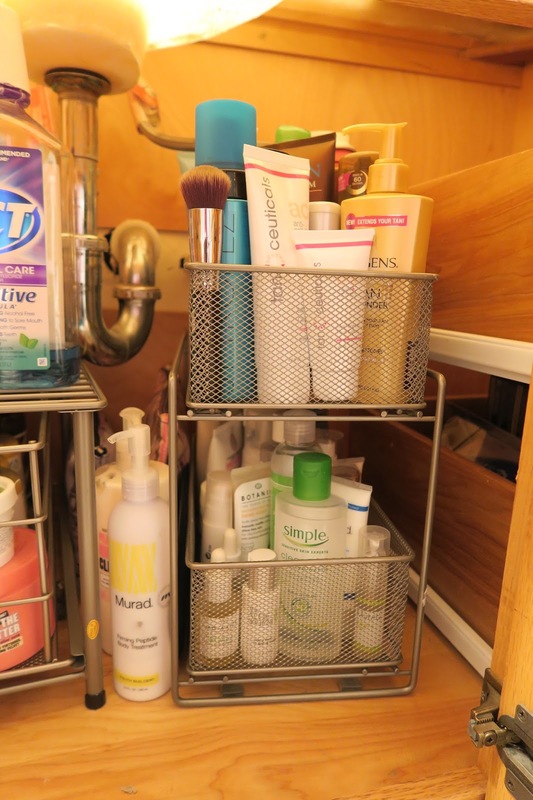 On the top shelf I store all of my self tanners and lotions. Bottom is for my skin care brands that I have a lot of the same line. So my Soap & Glory, Murad & Boots Botanics are all in there so I have the line together. So now we go onto my hair tool organization. 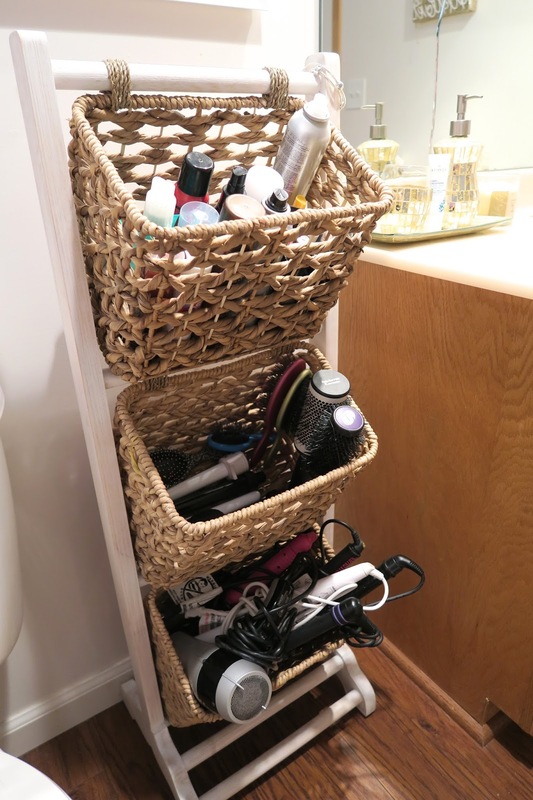 I have so many hair tools/products and I had them scattered all over the place before I bought this little basket storage from Ross. It was under $50 and the baskets are an awesome size. 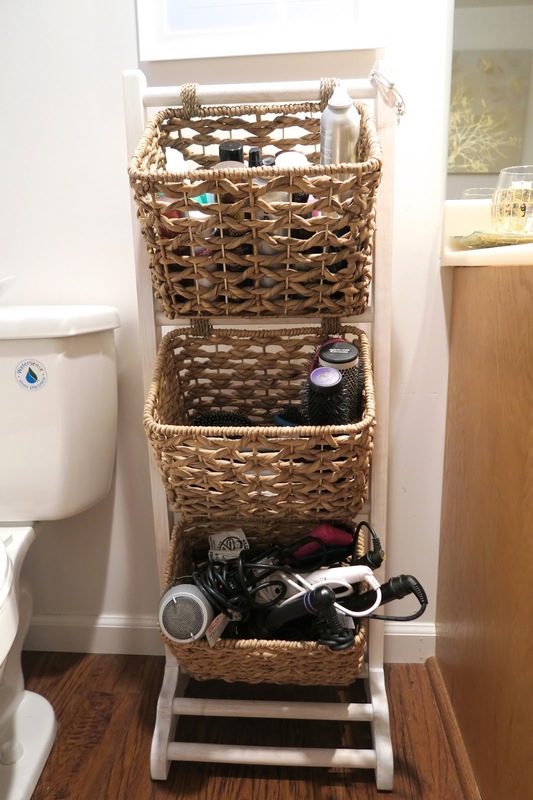 On the top I have my most used hair products, the second basket is for brushes and the third is for my hair tools (blow dryer, curling wands etc) and they all fit perfectly. 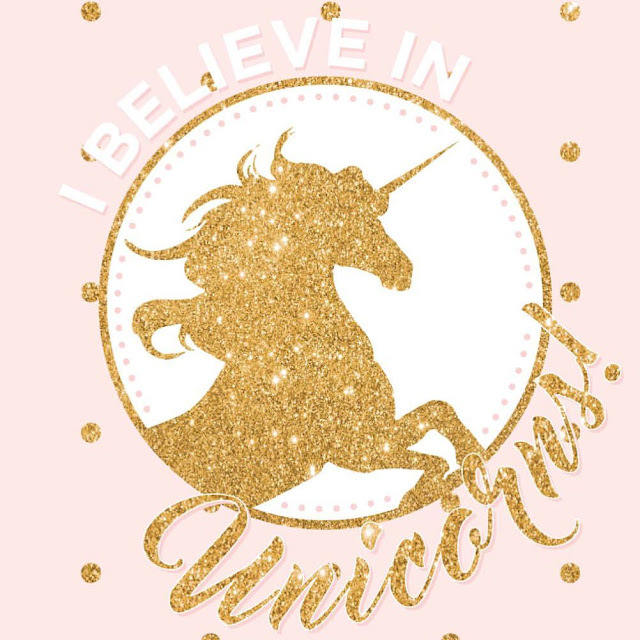 Plus it's really cute! Over by the other side of my sink I just recently picked up this drawer storage. 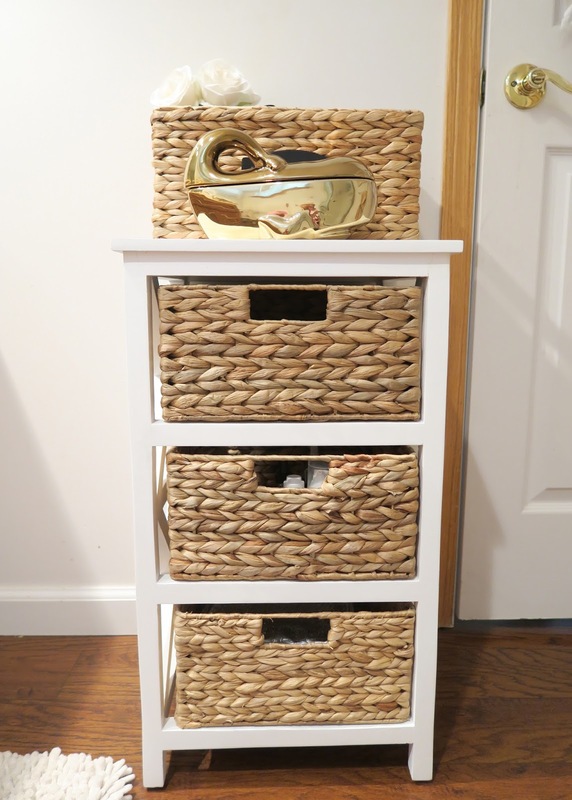 I found it at Ross for $39.99 and the drawers match perfectly with all of the baskets I already had in the bathroom. They are a great size as well. I have so much skin care and they were all piled into a basket so that I had no idea what was in there. Now they are all in the drawers where they are easy to see and grab. Here's what the top basket looks like now. This is for my everyday skin care. All the product I use on a daily basis. This was the basket that stored everything before. It was a disaster and made me forget what all I had. This fabulous gold whale stores all of my lip and eye products that I use daily. It's the perfect size to keep them easily seen so I don't forget to use them. In the top drawer I have my face masks. I didn't realize how many I forgot I had because they were all shoved in the bottom before. Now they are all layed out so I can pick which one I want for the day. 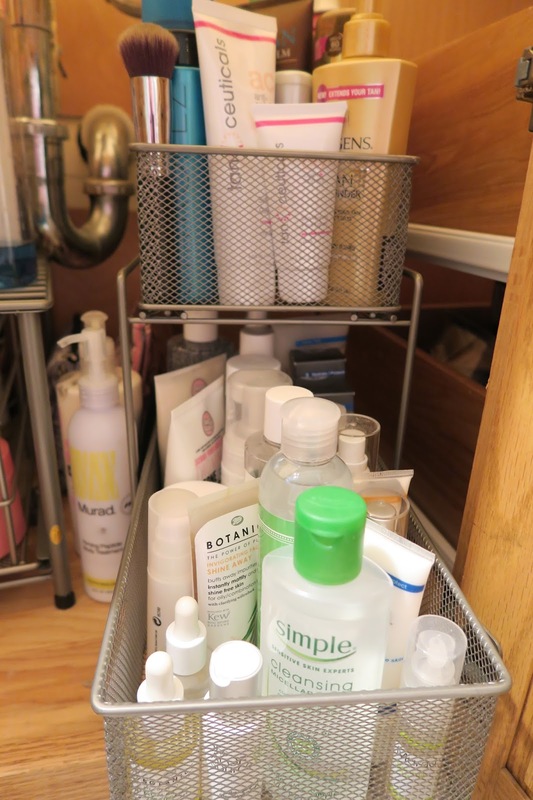 In the middle drawer I have my serums, creams etc. Last drawer is for my Pulsaderm that I just got. It comes in a cute little bag to keep it all together. I'm obsessed with these pictures I got from TJ Maxx. The gold on white is just so elegant. I got these candles from TJ Maxx as well. They smell amazing! The gold tray, cup and soap canister is from TJ Maxx as well. Yes, I am addicted to TJ Maxx haha! I like to have a hand lotion out as well as it's super dry here and I hate searching for hand lotion when your hands feel like a desert. This one from Boots Botanics is so nice because it moisturizes really well but doesn't feel greasy. I got this gold tray on clearance at Target. It's great for storing our favorite colognes/perfumes and my container for cotton pads. I try to keep things on there that still match the gold theme in here. I got these at TJ Maxx as well. LOL. Surprise, surprise. I love the chunky glitter. I'm also guilty of being lazy and hanging my necklaces on them as well when I get in the shower. Because our storage is so limited, I decided to pick up a basket from TJ Maxx to stroe our clean towels. 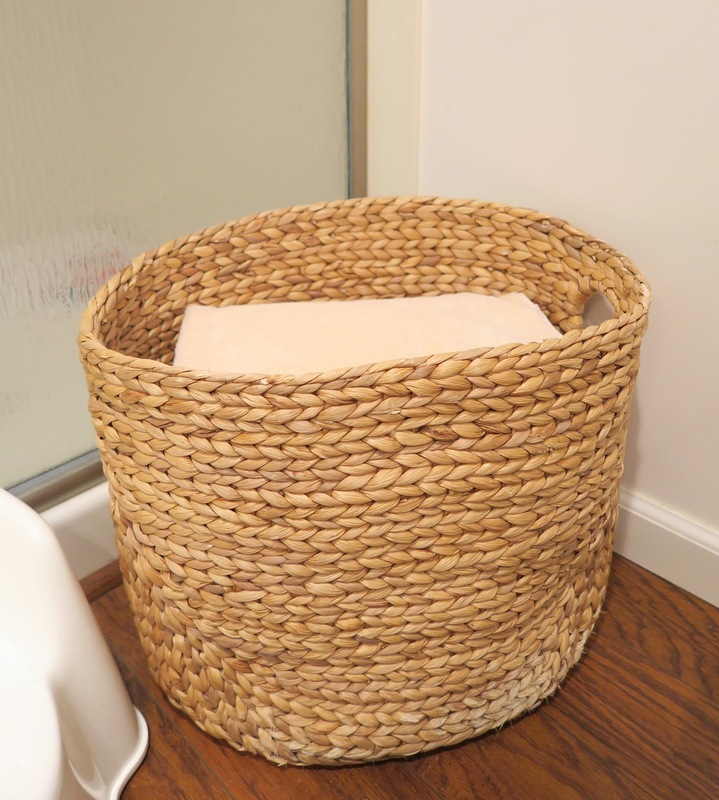 That way they are still in the bathroom and easy to quickly grab but they are contained and the basket matches everything else. My empty glass bowl is for when I clean my Invisalign aligners, incase you are wondering haha! 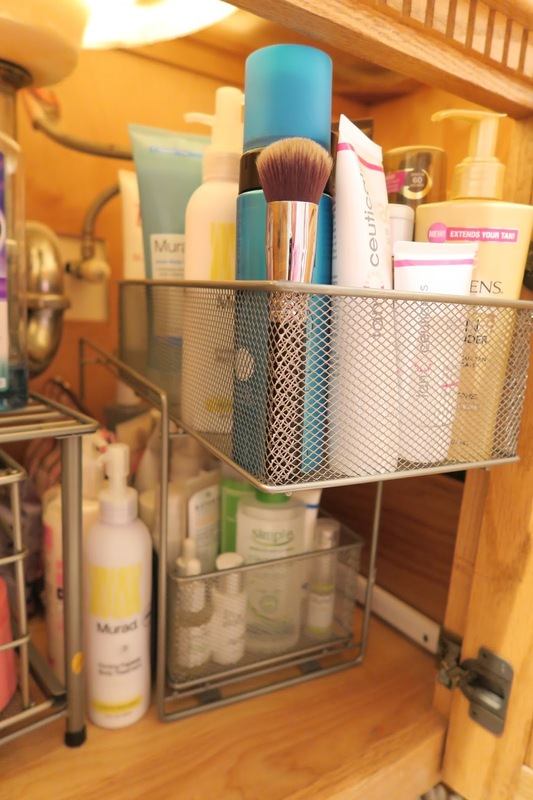 That's my tips for storing a whole lot of beauty products in a small bathroom. I hope it's helped! 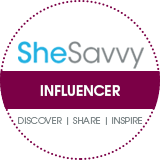 Please be sure to pin this or share it if you found it helpful! 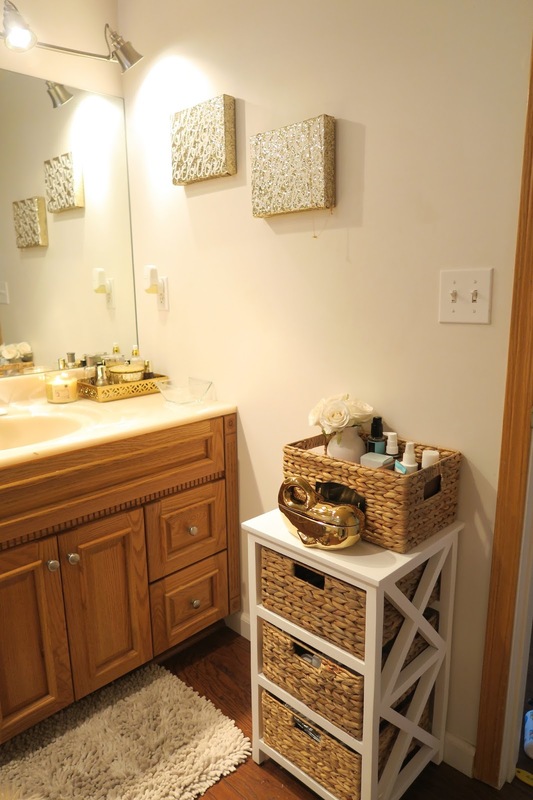 I love to see how you store your beauty stuff, and decorate! I have more than most people in the beauty department and it is a constant struggle to keep it appealing vs a Sephora exploded in my house hehe. I can't wait to see all your Fall Decor! You will find http://greenvisa.io from visa service providers who will provide you with extensive Vietnam visa information and the process of obtaining Vietnam visa on arrival. 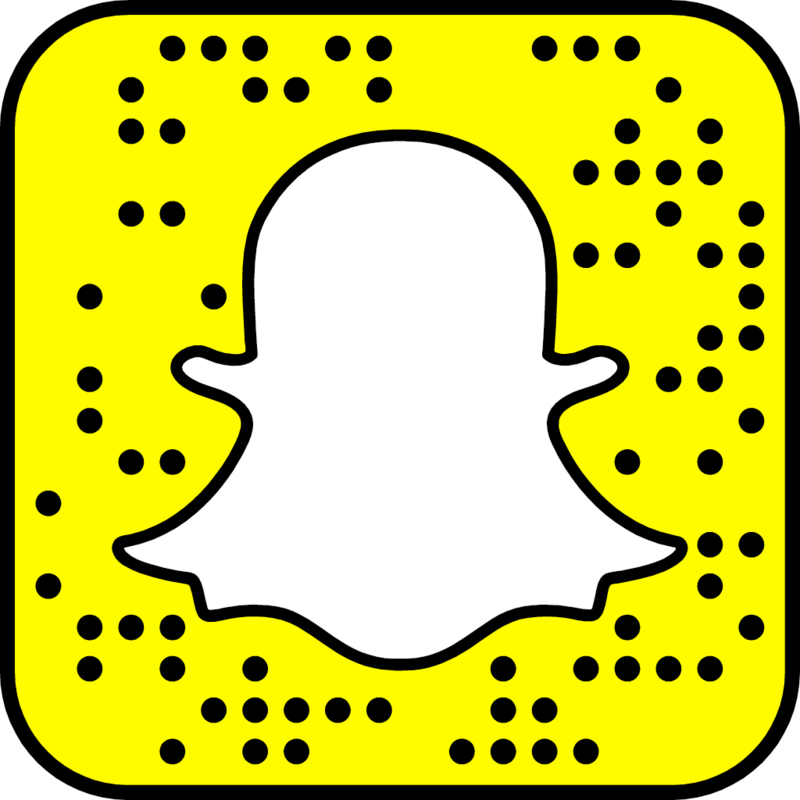 Great post.I aprreciate your post .For more queries related to Microsoft Outlook, you can visit these sites for more info outlook customer care keep posting. Bathroom shower stalls may be lined with ceramic shower tiles that are held together with a mortar called grout. Plastic shower stalls may have grout or caulk at the seams where the plastic meets the wallboard. Bold Brows & Lips for Fall. Disney Character Cake Toppers for $10! Disney INSIDE OUT Birthday Party Ideas! The DIFFERENCE Between MOMS & DADS! 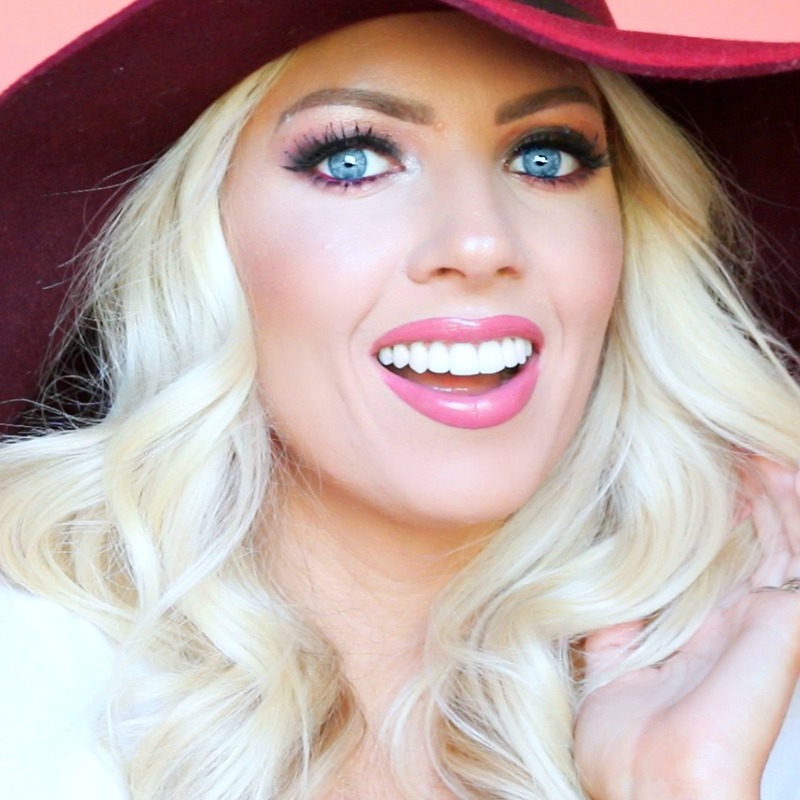 My FALL Fashion Must Haves!